Oh my gosh, where do I begin? 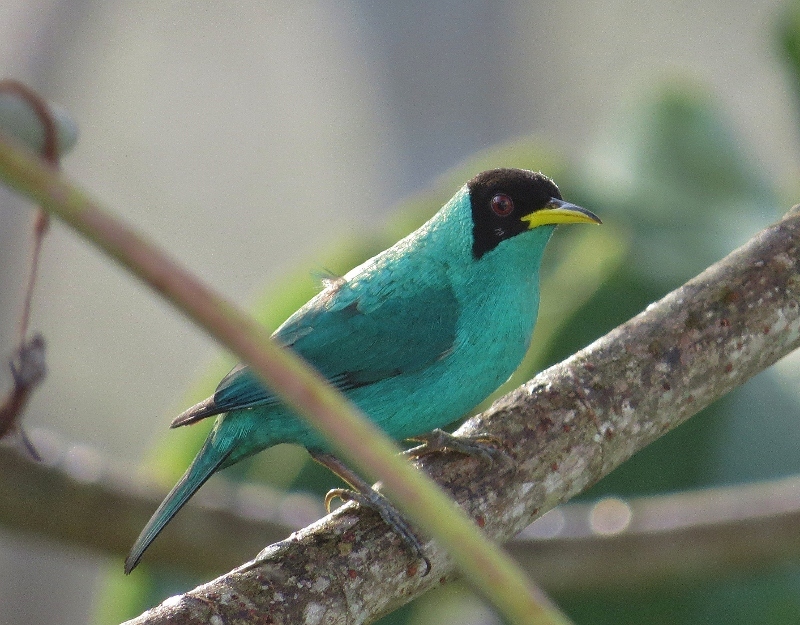 We recently spent a week birding in Panama, at the incredible Canopy Tower and Canopy Lodge resorts. These two properties are very different in many ways, but share a wonderful hospitality and the absolute highest quality birding guides. I think I’ll try to break this into a couple posts, with this first one focusing on the Canopy Tower and our experiences there during the first three days of our week. After a horrific travel day on Saturday we finally arrived at the Canopy Tower in time for a late dinner before dropping exhausted into bed in our small but comfortable room. 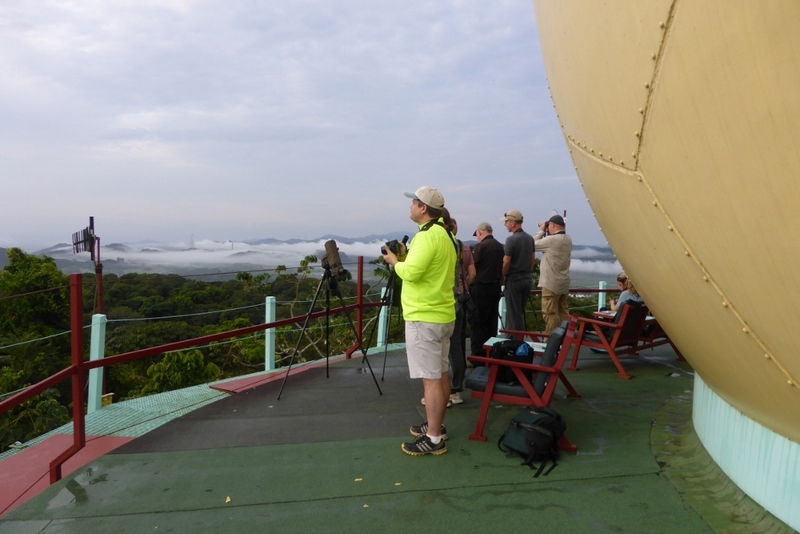 The Canopy Tower is a converted U.S. military radar station overlooking the Panama Canal. The owner of all the Canopy properties, Raúl Arias de Para, had the vision to convert this historic property into a tourist lodge. And what a fantastic job he did. The lower levels hold the guest rooms, which are pie-shaped wedges. The rooms are very simple but quite comfortable. There’s no air conditioning, but the ceiling fans helped quite a bit with sleeping in the jungle heat and humidity. They’ve left the barbed wire fence in place, a remnant of when this was still a military site. They say it’s not there for security anymore, but they do keep it locked at all times, so you decide. I never felt threatened or unsafe at all, anywhere in Panama, so I think it’s just for the ambiance. It lends an element of drama to the whole experience, if you ask me. It had already gotten dark when we walked out of the airport, so we really couldn’t see anything of our surroundings on the hour-long drive to the tower. So I was anxious for morning so I could see what everyone had been telling me about. And oh my goodness, what a morning it was! 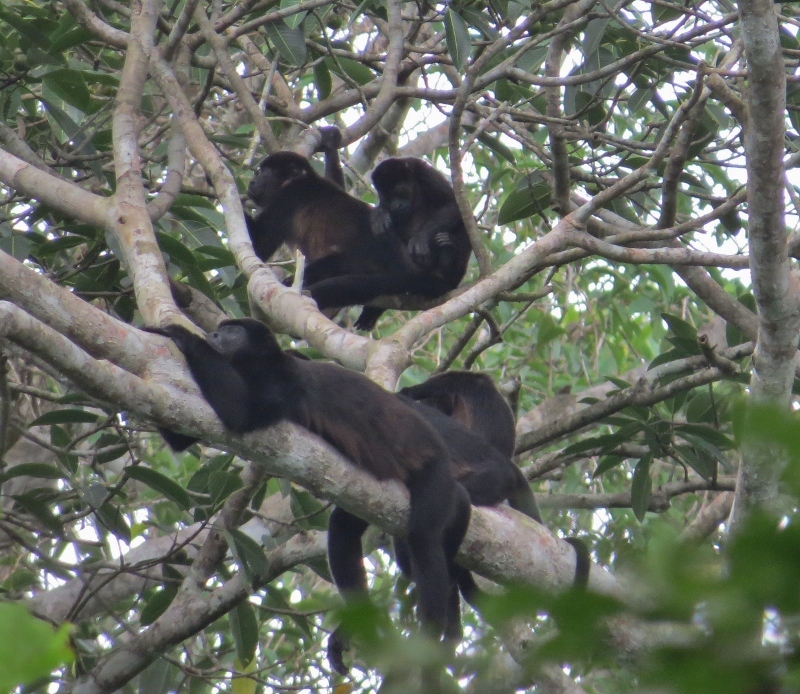 I’d heard loud insect and frog calls all night long, but just before dawn I heard the first deep-throated and haunting calls of the Mantled Howler Monkeys all around us. What a thrill! I’m glad I knew ahead of time to expect those sounds because otherwise I might have been scared that there was some sort of birder-eating monster coming to get us. There’s no question how these guys got their names, that’s for sure. Some mornings they were nearer the tower, and other mornings more distant, but they were a constant presence during our stay. 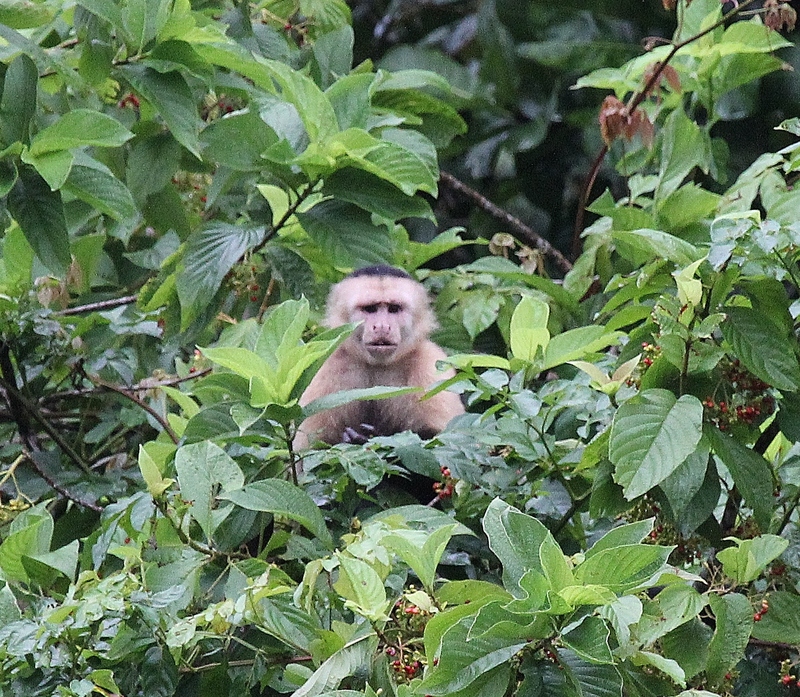 We were even lucky enough to see several family groups of them on our various hikes in and around the town of Gamboa. Ok, I know you want to see what we saw, so let’s get to some pictures. 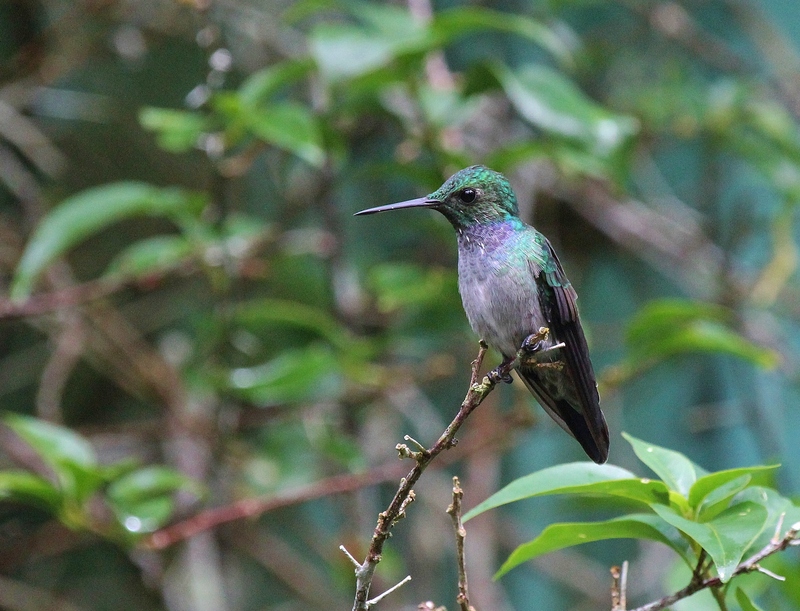 This was my first time ever in Central America, so I knew that almost every bird I would see on this trip would be a new one for my life list. As it turned out, I saw 212 species of birds during the week, with 90% of them being new ones, or “lifers.” Even though we had purchased field guides prior to our trip, if not for our amazingly skilled human guides, we wouldn’t have been able to find (or identify) most of these birds. I felt as overwhelmed as I did when I first started trying to learn warblers during spring migration in Ohio. But I kept reminding myself to just relax and enjoy seeing them, without stressing about not knowing all the identifications on my own. 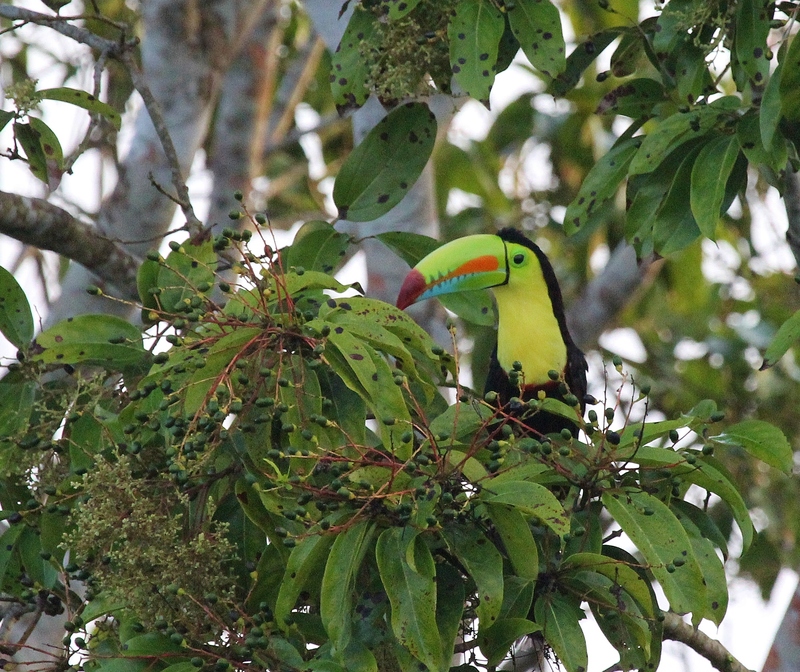 Right off the bat we saw many Keel-billed Toucans and Red-lored Parrots all around the Tower. One morning I even saw a toucan from the window while I was showering! How cool is that? The Tower keeps several hummingbird feeders stocked so it was easy to see a good variety of hummers. Easy to see them, much harder to photograph them. But I managed to get a couple good shots. I watched this Blue-chested Hummingbird sipping nectar from dozens of flowers on the mimosa tree out front. After a frustrating half hour of trying to shoot him before he moved to the next flower, I got smart and focused on one location and waited for him to come there. I felt so clever! 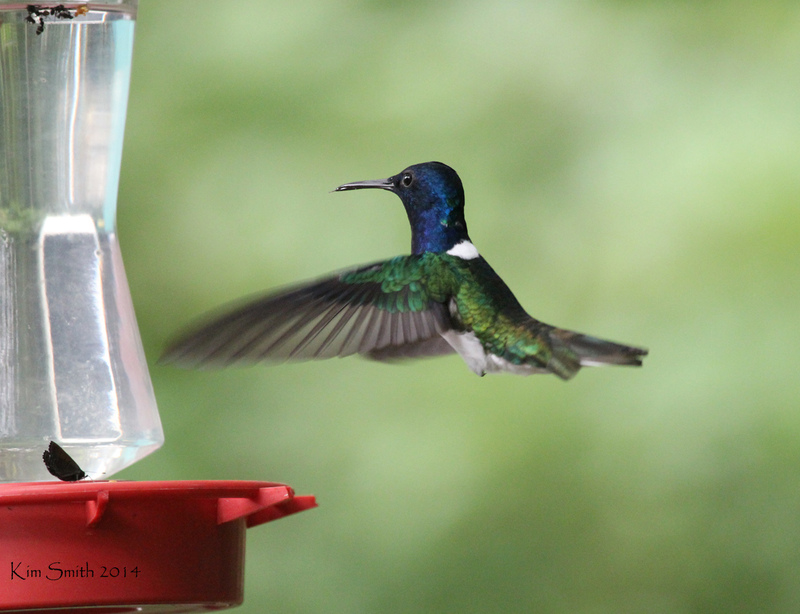 This White-necked Jacobin was one of my favorite hummingbirds. I was surprised that we found quite a few parent birds taking food to their hidden nests, and even saw some nestlings directly. (In my next post I’ll share a picture of baby hummingbirds in their nest.) When we were birding on Pipeline Road on our first day, we saw a pair of Fasciated Antshrikes carrying insects into the foliage. We stood quietly and watched where they had disappeared, and were rewarded with up-close views of the male when he came out to investigate after dropping off his food at the nest. He popped out just above the ground only a few feet away from me. I could barely fit him in the frame and get off a couple shots, and then he flew across the trail right in front of me. I got the feeling he was upset that we were too close to the nest (which we couldn’t see), so we moved off and left the little family to their important business. That was one of my favorite parts of the whole trip though. Isn’t he a beautiful bird? Look at those red eyes. 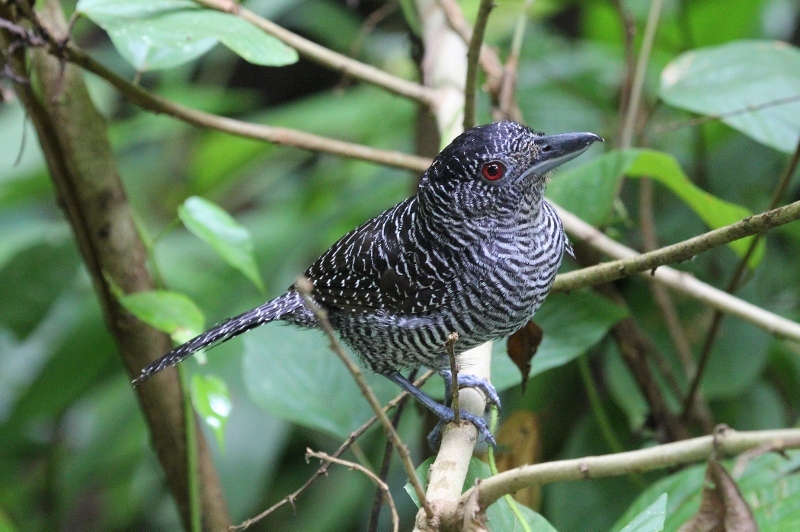 Fasciated Antshrike papa, investigating the humans who were apparently too close to his offspring. 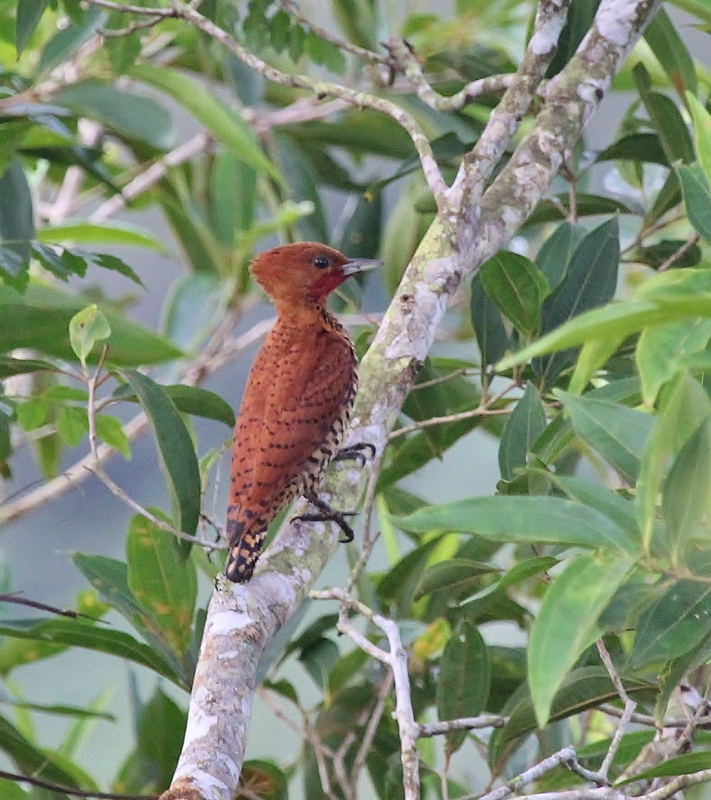 And another of my favorite birds, the Cinnamon Woodpecker. We watched a pair of them in the trees right beside the Tower on our last day…such a treat. I really love woodpeckers. It sounds a bit confusing, but it’s easy when you’re doing it. 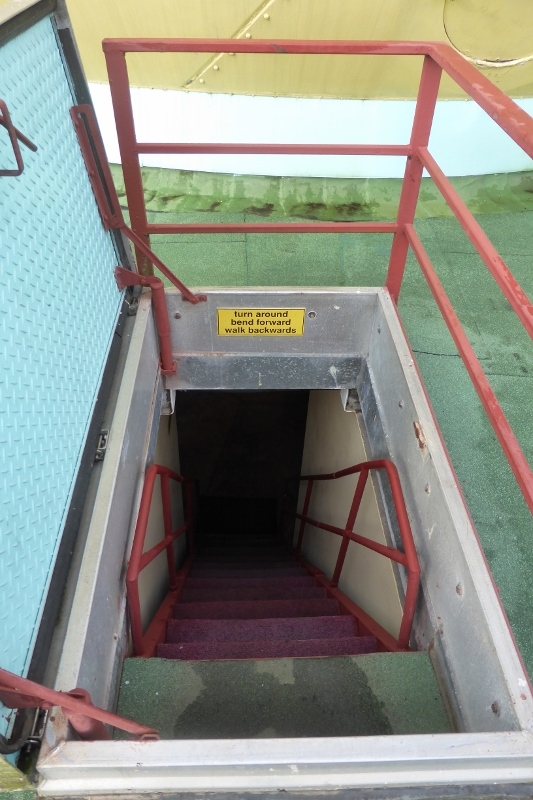 I even managed to go up those stairs with my laptop opened up one day, trying to Skype with some friends back home. Unfortunately the wireless signal kept cutting out as soon as I got up on the roof, but I did manage to give them a Skype tour of the interior of this unique building. The Tower isn’t the Ritz, but I was very comfortable there and it was worth tolerating the heat and humidity just to have the experience of staying in this place. But just wait until you see the Canopy Lodge…stay tuned for part two of my Panama adventures! 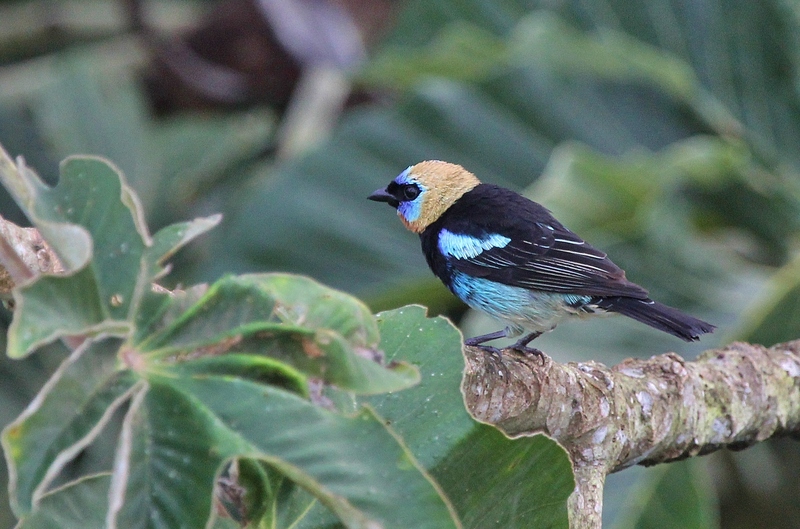 This entry was posted in Birds, Travel and tagged birds, Central America, Las Aves, Panama. Bookmark the permalink. 17 Responses to It’s a Jungle Out There! I’m stunned to hear that you don’t like monkeys! I absolutely love them… and apes. In fact, apes are the reason I don’t go to zoos anymore — the apes are always so obviously sad and bored living in those stupid “habitats” that I just can’t bear it. Kim, Thanks for sharing your trip with us! 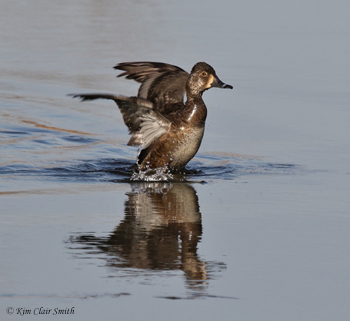 I love the photos of the beautiful and unusual birds that you saw. I can only imagine what a thrill it must have been to be in such a beautiful place, photographing new birds. What a dream trip! It’s nice to see a blog post from you, Kim. I was starting to get worried about you. What an amazing trip you’ve had! Those birds are all so very beautiful. I can’t imagine looking out the window while showering and seeing a toucan! Thanks, Kristie. I was feeling so bad that I hadn’t written for a while. I don’t think I’ve ever gone this long without a blog post. I’m in the middle of a major life transition though, so I’m trying not to put added pressure on myself until I get through this. But I really do want to get part two of this trip written soon….thanks for sticking around! Wonderful post Kim. You never disappoint. Looking forward to the next one. Thanks for sharing such beautiful birds with us. Oh, thanks Rob! I’m so happy you enjoyed it. Kath, I’m sure you would have come up with some beautiful drawings of these birds! Kim like I said I would have been in heaven and hypo ventilating over all those unique birds. Just the colours inspire me. Maybe I can talk my mad snap happy bird crazy husband into going there one day. What a great post, Kim! You really put me there with your observations and fabulous photos. I love how you related this to your first experiences watching warblers during the migration in Ohio, too. I’m very much looking forward to reading more! Thanks, Judy. I’d better get busy on part 2 before I lose my momentum! Great experience. The pictures almost bring the experience to us. I’m most taken by the Cinnamon Woodpecker – what a profile! Wow.. what an experience. Unbelievable color in those toucans. I visited Panama a few times while in the Navy and even went through the canal but I never got to spend any time seeing the sights. Sounds like it would be well worth a visit. Great photos and descriptive post. Thanks for all the info! Glad you enjoyed it! I saw the canal but not the locks, unfortunately. It’s hard to explain to people that you went to Panama and didn’t visit the locks. “What, you went in the jungle and stood for hours in the rain and heat…to see BIRDS?” Haha. Yep, did that. And loved every minute of it.